Blog hops are a great way to gain more followers! 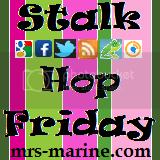 This hop follows in EVERY way: Google Friend Connect, Facebook, Twitter, Feed, Blog Frog, Networked Blogs! "Stalk Me" and I will return the favor! (For those of you who have participated in this hop before, you'll notice I changed a few things). Hi! Thanks for the Linky! I messed up when entering my information could you delete #3. Thanks. I am in! have a nice day! Hello, I am your newest follower. Make sure to hop over to my site and say hello! BTW I love your 'family' m&ms! 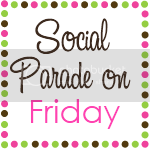 hi, i am your new follower from You Like Me Friday Blog Hop. hope you follow back my 4 blogss. thanks! Love your blog! I'm a new follower on GFC, facebook, twitter and Networked Blogs. Thanks for hosting this fun hop! I'm following you every which way... ;) Have a great weekend! New follower here, I LOVE the idea that this is a Hop for other things besides blogs. I keep my Facebook page for my family separate from my blog (they don't know about blogging) but if I did combine the two I'd love to add that as well. 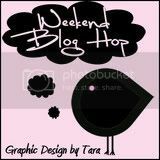 This is the link referring people to your blog hop. Thanks for starting this. Great idea. My first week participating in the Stalk Hop, but have followed on FB for some time. 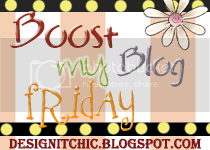 :-) Such a great idea for following in spots other than one's blog! 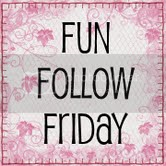 New Follower from your Blog Hop! I'd love for you to follow me back! 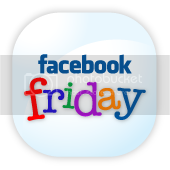 I am following you on GFC and FB! Come see me sometime! oh, I followed you on twitter and liked you on facebook, as well. 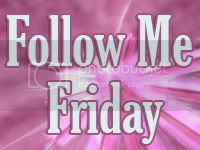 I'm a new follower from Follow Me Friday. Hop on by my blog: Frugal Experiments. Hope to see you there. Now Stalking both your blogs. :) Thanks for following back. I also posted your button on my blog and voted for you. Good luck! Nice to meet you! I love the colors! I'm a new follower! Come by and say hello. Hi I am a new follower and I am looking forward to reading your blog. Have a great day! This is a great way to find bloggers with common interests without having to wade through millions of blogs. What fun. Come visit me in sunny Lugano!!! I just stumbled onto you...and now I am stalking you too!!! if you get a chance to pop in...stop over...love to see you there!